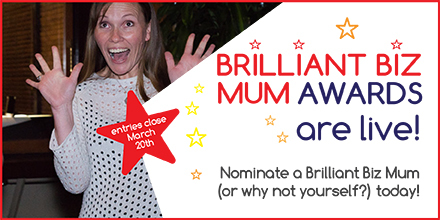 With a little over a week left to enter, I definitely want to see your nominations for this years Brilliant Biz Mum Awards! There are 13 Awards categories covering everything from writing to social media to creative marketing to innovative products and more so it is time for you to step up and unveil the great work you have been doing over the past 12 months. Which is why I am proud to be supporting as a guest judge in the Brilliant Biz Mum Awards and they are now open for you to nominate yourself or another amazing biz mum/s! Prizes for the winners include coverage in Kid Magazine, a beautiful PAIRD necklace and a business package worth over $4,800.